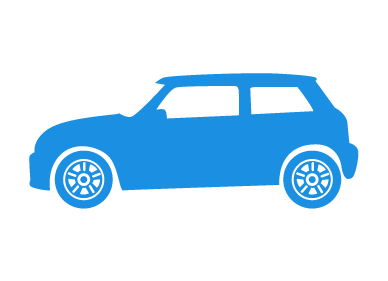 A car as special as your Mini deserves a special kind of insurance policy. That's where Adrian Flux can help. With over 40 years experience in arranging insurance for every kind of car imaginable - and some you probably couldn't imagine - we will tailor a policy as individual as your car. We know that owners of Minis are not like other motorists and the cover we arrange takes this into account. Get Cheaper Insurance for your Mini - Great deals for BMC members. We can arrange great value cover for your Mini whether your car is a classic Austin Mini, Rover Mini Cooper S or even a brand new MINI One. Protected No Claims Discount can be arranged. Owner's Club Discounts If you belong to a recognised Mini owners club or enthusiasts' forum, you will receive a discount of up to 15%, depending on the policy taken. Modified Minis Almost all modifications can be covered on a like for like basis. Our staff are all seasoned insurance experts and will calculate your premium individually, using their expert knowledge of the many insurance schemes on offer. When you call us you will be speaking to a knowledgeable enthusiast, based in the UK, not a button pusher in a foreign call centre. Quicker & Cheaper rates by phone call 0800 916 1251 during office hours (9am to 7pm Monday to Friday & 9am to 4pm Saturday) for an immediate, no-obligation quote. This list is not exhaustive, even if your car is not listed here we can probably cover it in particular we have special schemes for Kit Car Insurance , Classic Car Insurance, Current Standard Car Insurance, Import Car Insurance , Modified Car Insurance and 4x4 vehicle Insurance.